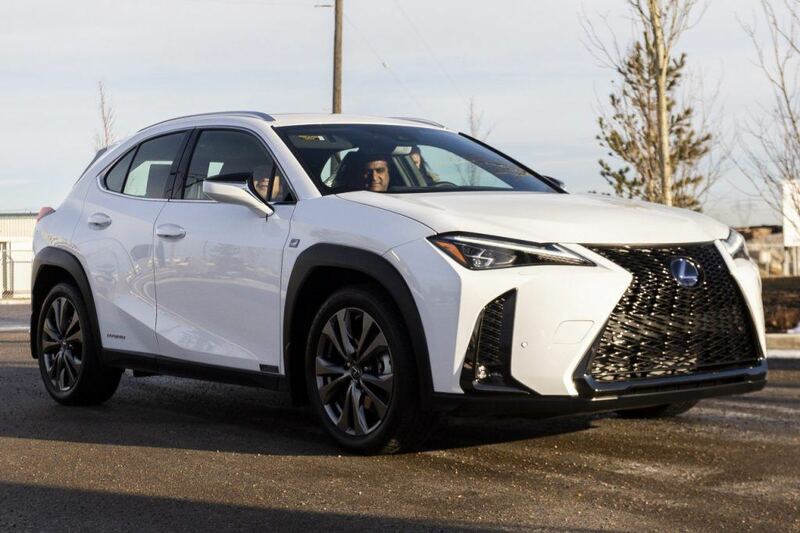 The 2019 UX is the first of its kind in the Lexus family; a fresh take on the compact luxury SUV. 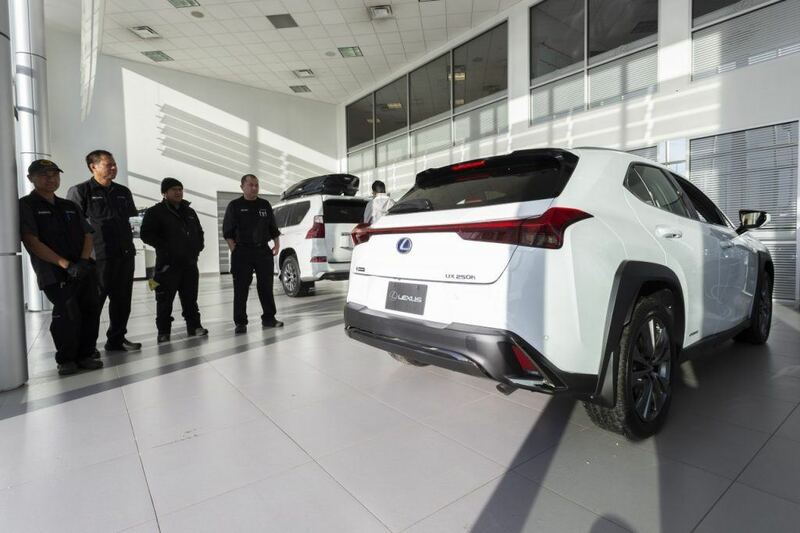 The all-new UX stands out from the crowd with its convention-shattering design. The bold spindle grille and dramatically flared fenders emphasize the UX’s strong crossover qualities. Built on an all-new chassis with a low centre of gravity, the UX fuses SUV-versatility with the agility of a hatchback. Its nimble performance and excellent maneuverability shine through in details like aero stabilizing blade lights and aluminum wheels with an aerodynamic design. Rear combination lamps connected by a continuous single line of 120 LED lights round out UX’s innovative character and cutting-edge appeal. 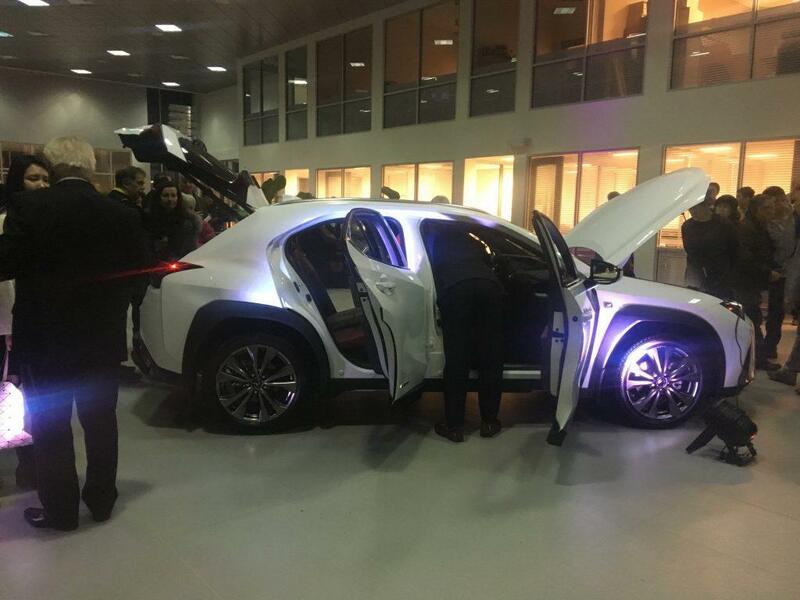 The UX is available with an advanced 2.0-L dynamic gas engine or with a more powerful and fuel-efficient self-charging Hybrid. 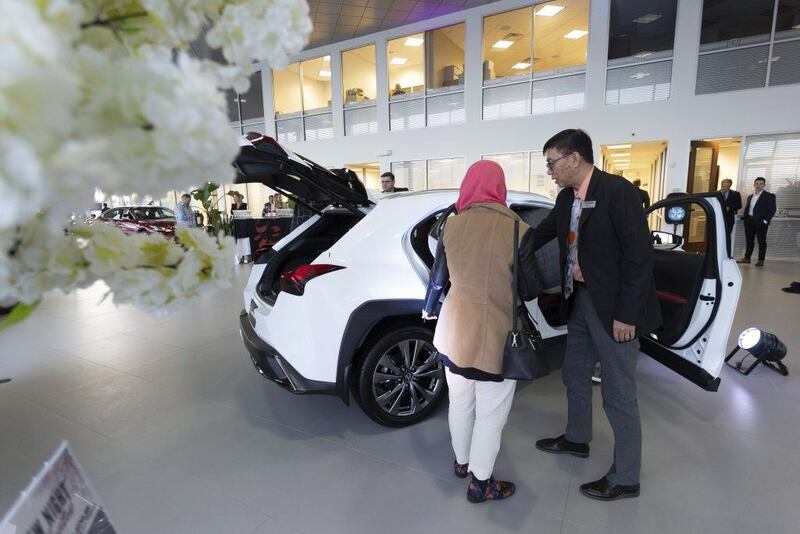 The hybrid UX is expected to get an astonishing 5.7 L per 100 km in the city. 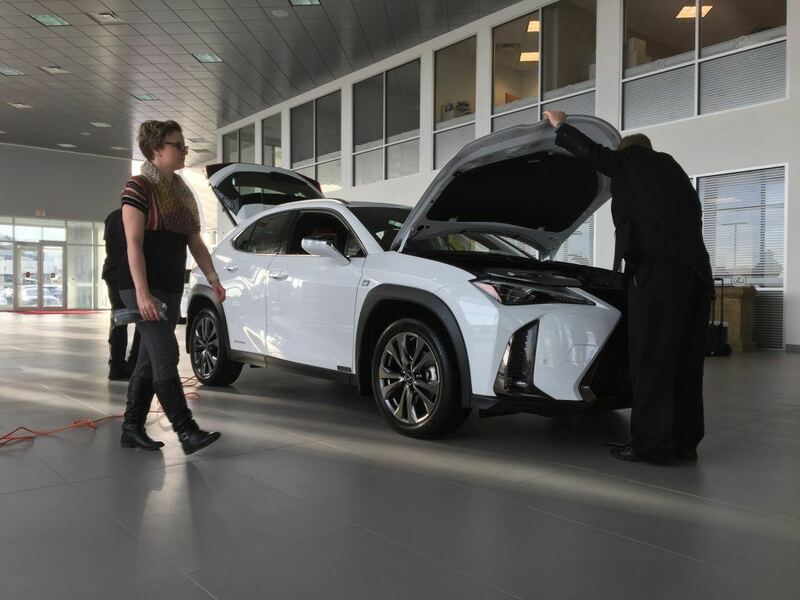 Inside, find loads of cutting-edge technology, equipped with a Backup Camera, Available Wireless Charging, Lexus Display Audio with available 10.3” display, a Digital Cluster and Standard Apple CarPlay. Available in a palette of dazzling new colors, including Celestial Blue, Cadmium Orange, and Nori Green Pearl. 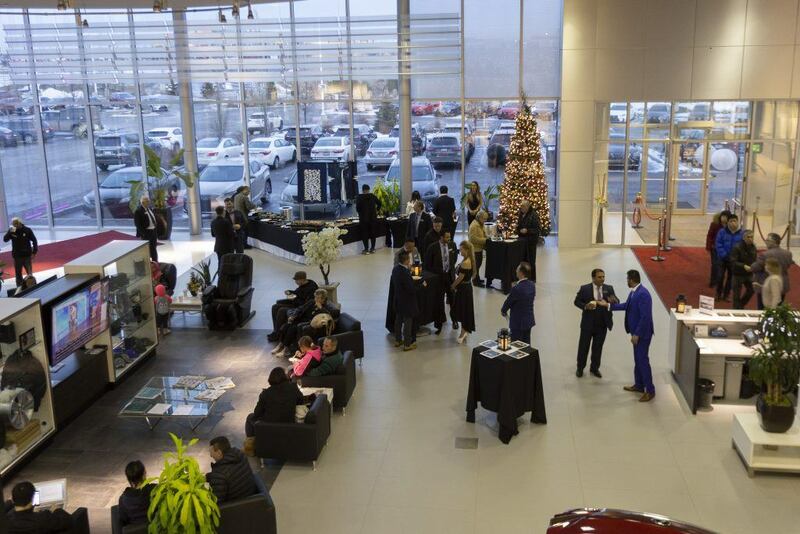 On November 20th, Lexus South Pointe hosted the all-new 2019 UX for an official unveiling event. 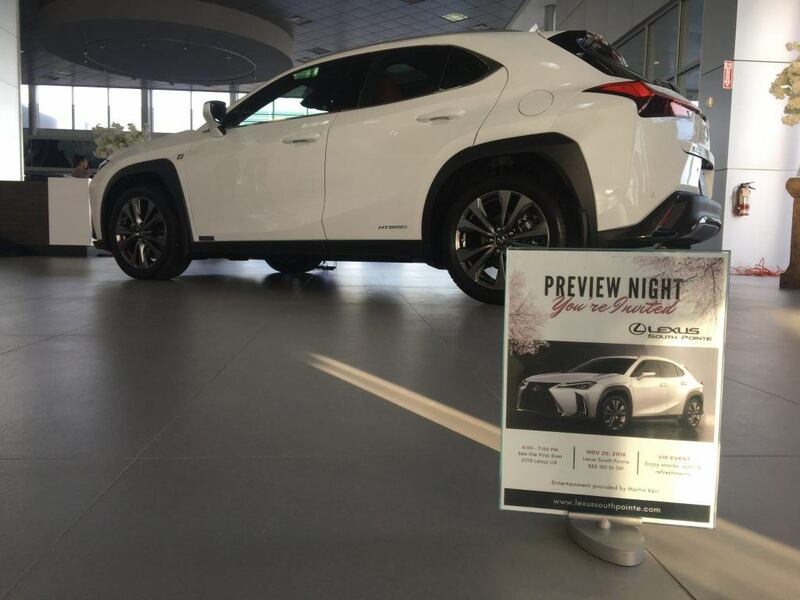 The evening was a tremendous success with guests blown away by the overall craftsmanship and styling of this brand new crossover. 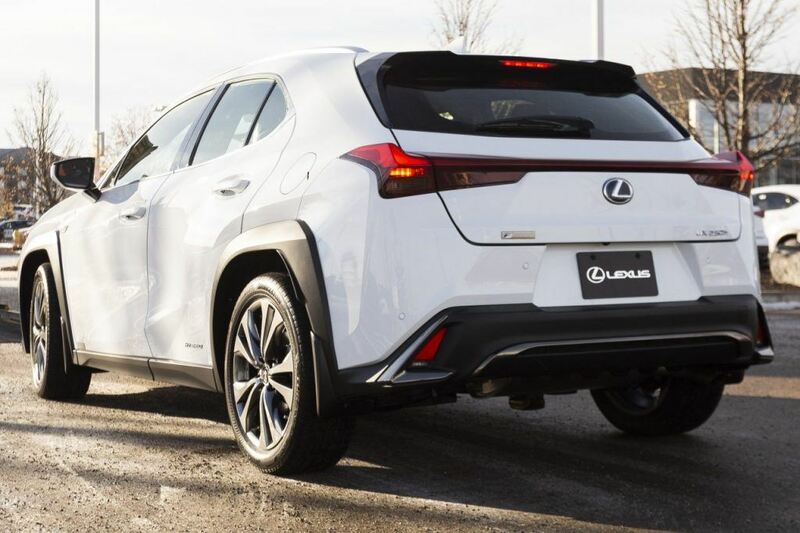 Lexus Canada is only releasing a limited number of UX crossovers in Canada. 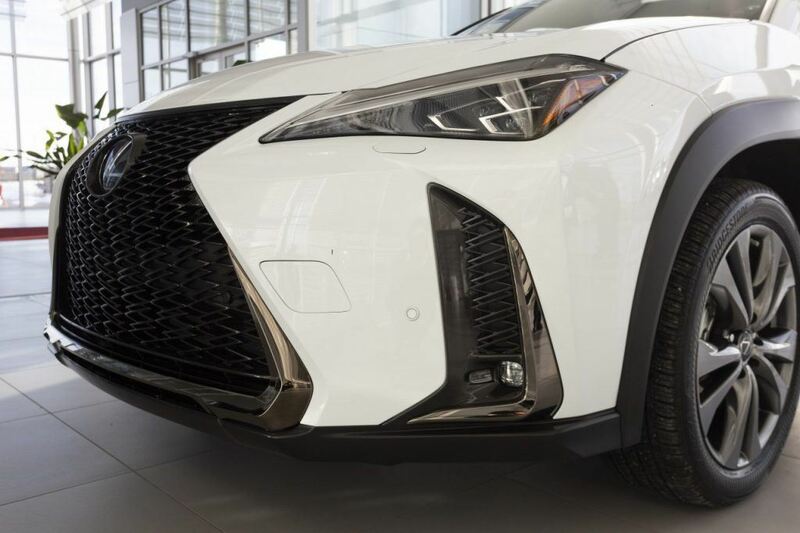 With an incredible fuel efficiency, savvy city-smart technology, and a dynamic styling that blows other segment rivals out of the water, this vehicle will go fast. The 2019 UX 250h is the only hybrid option in the segment. It runs so quietly we had several guests ask us to prove it was actually on because they couldn’t hear a thing. It also garners one of the most impressive fuel economies we’ve seen, at just under 6.0 L per 100/km. We were really impressed with the dynamic feel of the UX. Built on the Toyota TNGA platform, the UX has a chassis that offers tight steering and exhilarating handling. You can feel its quick maneuverability instantly on tight corners. The UX offers strong midrange torque and a seamless power delivery. The hybrid, in particular, is quick off the line and one of the quietest vehicles we’ve heard in person. With the tightest turning radius in its class, the UX responds quickly to every input, delivering an exceptionally agile driving experience. The Direct-Shift continuously variable transmission combines silky smooth performance with the classic feel of a traditional gear-driven automatic. One of our FAVOURITE things about the UX is its electric all-wheel drive (eAWD). It doesn’t matter if you’re accelerating, cornering, or navigating ice streets, an additional motor on the rear axle adjusts the power-split between front and rear axles to give you more stability and greater traction. These advanced systems work as a second set of eyes for you at all times. Taking tight corners, navigating unfamiliar territory and driving icy roadways during winter can be challenging. Knowing you have systems in place that will keep you safe gives you added confidence and security no matter the situation. Love the 2019 UX? We don’t blame you. We are now officially taking preorders. This exciting urban crossover is guaranteed to sell out quickly. 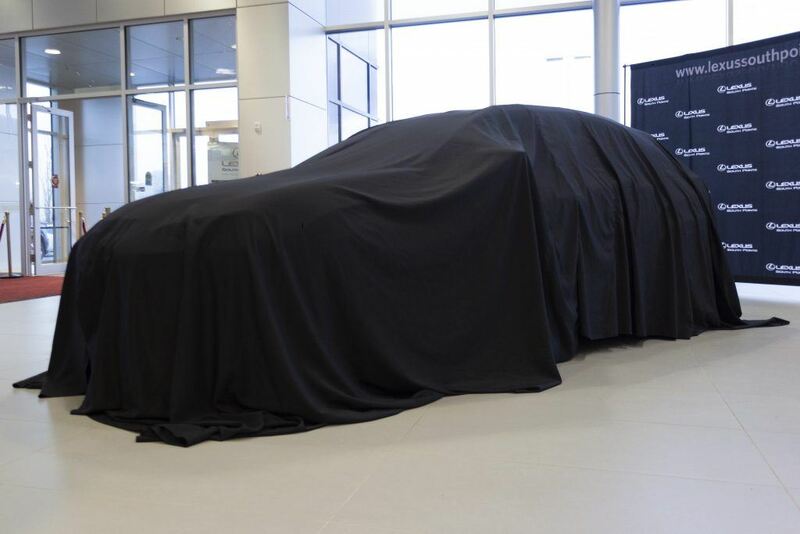 To be one of the first to drive this exclusive vehicle, order yours today.